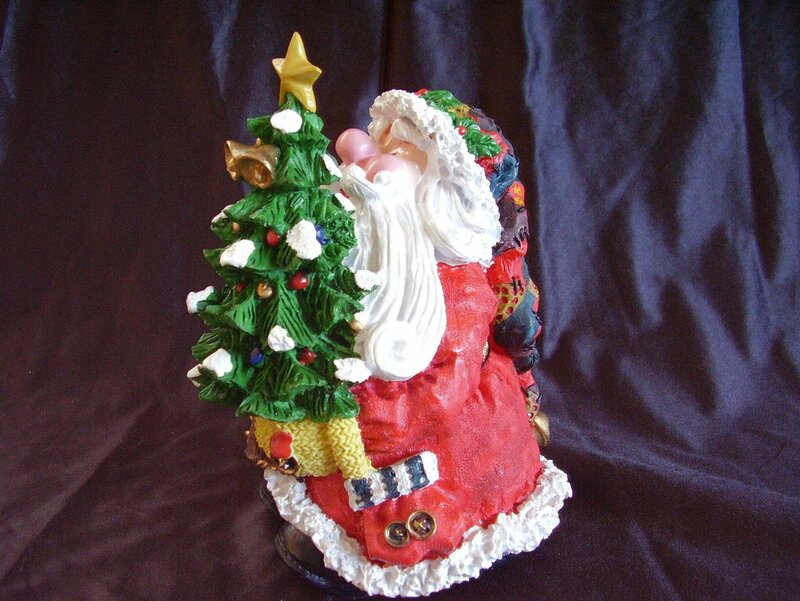 Collectible Christmas Santa statue. 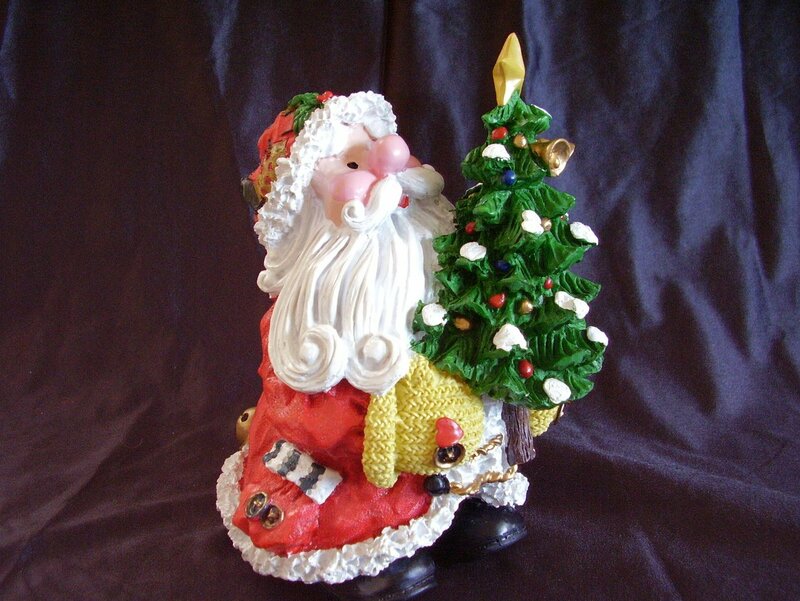 Made of resin, he measures 8 inches tall x 5 inches wide x 6 1/4 inches deep. Absolutely adorable with such a cheery face. 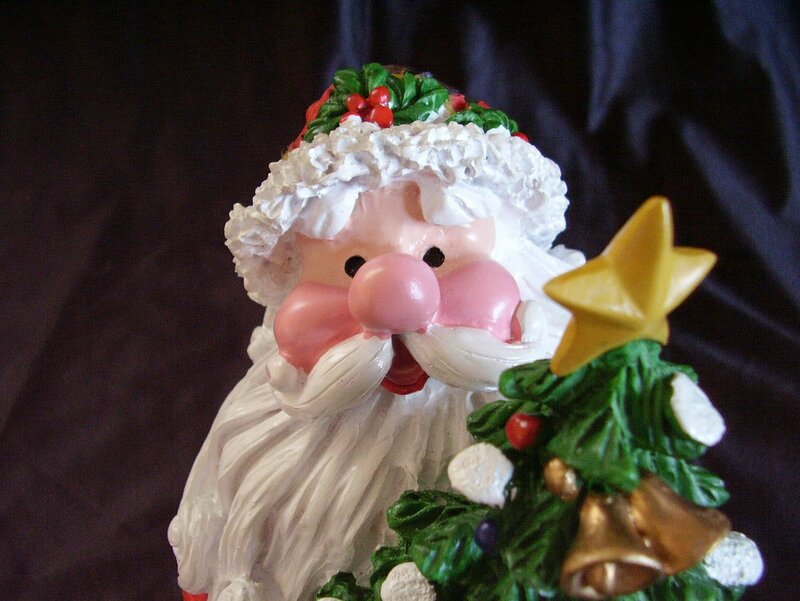 Collectible Christmas Santa statue. Made of resin, he measures 8 inches tall x 5 inches wide x 6 1/4 inches deep. 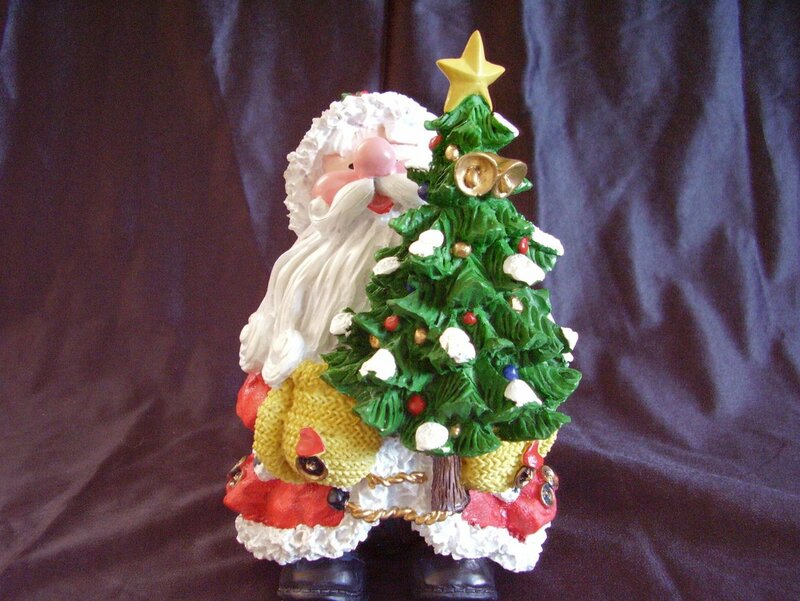 Absolutely adorable with such a cheery face , Santa holds a large decorated Christmas tree. He looks to be brand new. There is no box. Perfect to sit on a table or mantle.